The Air Lift 25804 Air Shock Controller Kit provides an easy way to control your air shock pressure through your dashboard. 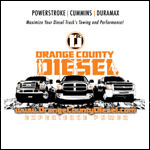 Connected to your air shocks via a tough, small air compressor, you can make the adjustments necessary to add or subtract pressure from your air shocks. The AL 25804 Shock Controller Kit is easy to set up and use. 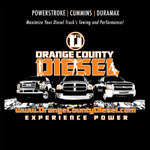 OC DIESEL offers Professional Air Lift 25804 Air Shock Controller Kit installation.